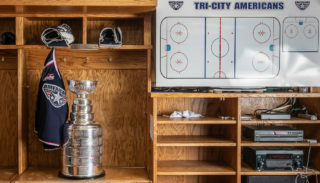 KENNEWICK, WA – Five Americans players have been invited to NHL Developmental Camps. Jordan Topping and Brendan O’Reilly were invited to the Dallas Stars Camp which runs July 5-9 at the Dr. Pepper StarCenter in Frisco, TX. The Arizona Coyotes have invited Evan Sarthou to their camp held July 4-8 at the Gila River Arena in Glendale, AR. Dylan Coghlan was invited the Detroit Red Wings which runs July 6-10 at the Centre Ice Arena in Traverse City, MI. The New York Islanders also extended a camp invitation to their signed prospect Parker Wotherspoon. The camp is held at the Northwell Health Ice Center in East Meadow, NY from June 29 to July 1. Topping, O’Reilly, Coghlan, Sarthou, and Wotherspoon will be joined at these camps by the top prospects for their respective teams including the players that were chosen in the NHL Entry Draft on June 24 and 25. 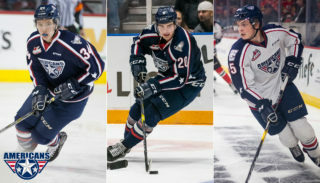 There will be four WHL players at the Dallas Stars camp in addition to Topping and O’Reilly, six at the Phoenix Coyotes camp including Sarthou, four at the Detroit Red Wings camp including Coghlan, and three at the New York Islanders including Wotherspoon. 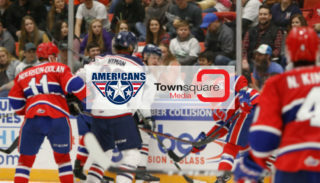 Jordan Topping, Bendan O’Reilly, and Dylan Coghlan are all entering their third season with the Americans. Evan Sarthou and Parker Wotherspoon are entering their fourth. Season memberships are on sale now! 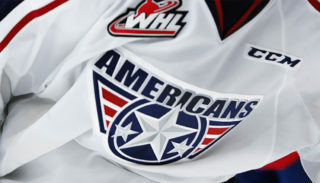 Contact the Americans office at 509-736-0606 to reserve yours today!